Do you know the 'hidden' symptoms of asthma? While most people recognise wheezing as a sign of asthma, far fewer realise that chest pain or trouble sleeping may also indicate breathing trouble, survey results show. Commissioned by National Jewish Health, a leading pulmonary research centre based in Denver, Colorado, the survey asked 1,002 adults across the country to identify potential signs of asthma. "A lot of people have asthma and don’t know it. Many adults do not have the traditional asthma symptoms, or they don’t have all of the symptoms," said Dr David Beuther in a statement. "It's not rare that your asthma doesn't present like the textbook. It's actually more common than most people realise. To the patient or perhaps the primary care provider, things that seem like a very unusual set of symptoms for asthma are actually quite common. That is why you often need a specialist to diagnose and treat it." 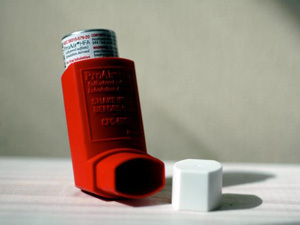 Dr. Beuther said that in the U.S. one in every 200 adults are diagnosed with asthma every year. And while children with the disease might have more common symptoms, adults who develop asthma typically have some of the less recognised symptoms. "As a pulmonologist, I see people with symptoms that aren't yet defined like difficulty breathing, cough and episodes of recurring bronchitis. When we first embark on trying to figure out what that is, I often mention that one of the big three causes of chronic cough, for example, is asthma. And it's more common than not that my patient is surprised to hear that a chronic cough or recurring bronchitis is actually asthma," he explained.